Forma Skin Tightening uses radio frequency waves to encourage the natural production of collagen fibers, leaving a tighter, smoother complexion with no downtime! * Book your Complimentary Consultation at AFYA Skin and Body Laser Clinic in Guelph today! At AFYA Skin and Body Clinic in Guelph we perform the Forma Skin Tightening treatments as a stand alone treatment or along with a treatment plan. As a stand alone treatment we recommend doing 2 to 6 treatments. When adding Forma Skin Tightening to a treatment plan, we can perform Forma immediately before or a couple of days apart from other services. During the treatment you will feel a gradual warming sensation in the skin. The Forma is a very comfortable treatment, as the machine is specially designed to offer comfort while reaching optimal skin temperature to make the greatest impact possible. * The body version of the Forma Skin Tightening is called the Plus. Plus Skin Tightening treatments can be performed on the same schedule as the face and neck. The Plus has a larger hand piece to accommodate larger areas of the body in shorter amounts of time. Treatments are performed approximately 1 to 2 weeks apart. Treatment sessions range from 30 to 60 minutes. Results can be seen immediately, but will reach its full potential between 2 to 6 months post treatment series. The Forma does not have any downtime, so there is no restrictions before or after the treatments. Since the radiofrequency is considered colour blind, we can treat the skin any time of year regardless of sun exposure. Many clients treat with the Forma throughout the spring and summer to keep a smooth, tight matrix to the skin all summer long! Check out our new AFYA Skin Care Club Membership! 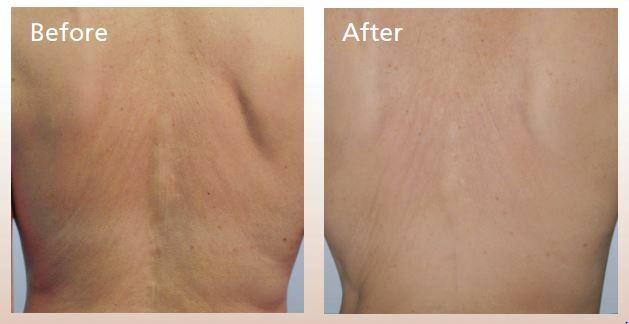 Interested in Forma Skin Tightening? Find out how you can pay less and get the most with our new membership program.